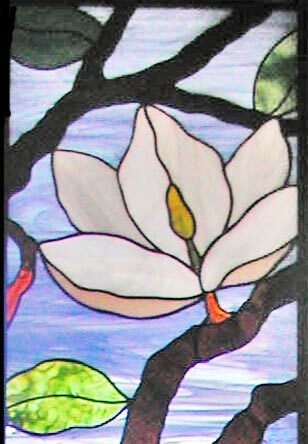 "MAGNOLIA SIDE" CUSTOM STAINED AND LEADED GLASS SIDELIGHT WINDOW CREATED BY JACK McCOY© FOR A HOME IN DUBLIN, CA. 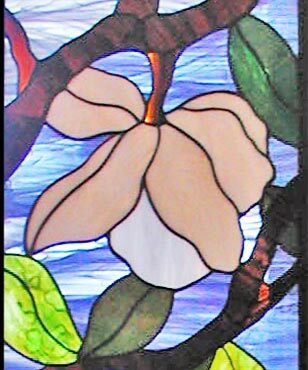 This Magnolias stained and leaded glass sidelight window was 12" x 78". 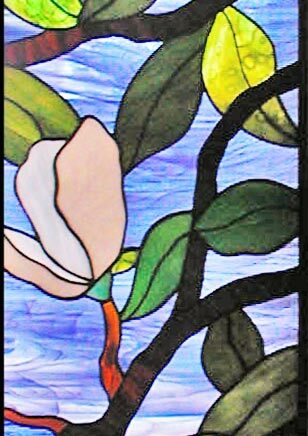 Opalescent glasses were chosen for this stained glass sidelight panel. 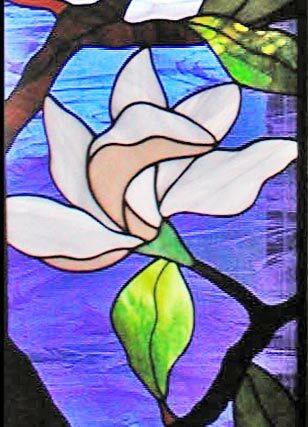 The blue glass in this leaded glass window was actually three different shades of blue for variation from top to bottom.